Kia has already proven its ability to go after big luxury sedans with the Kia Cadenza and Kia K900, but now it looks like the automaker is going to pump some new life into its small-car lineup too. Introduced at the Seoul Motor Show, the 2015 Kia Novo Concept “provides a glimpse into Kia’s plans for its future compact car line-up,” which means that this concept could well be a glimpse at what the next-gen Kia Forte will look like. 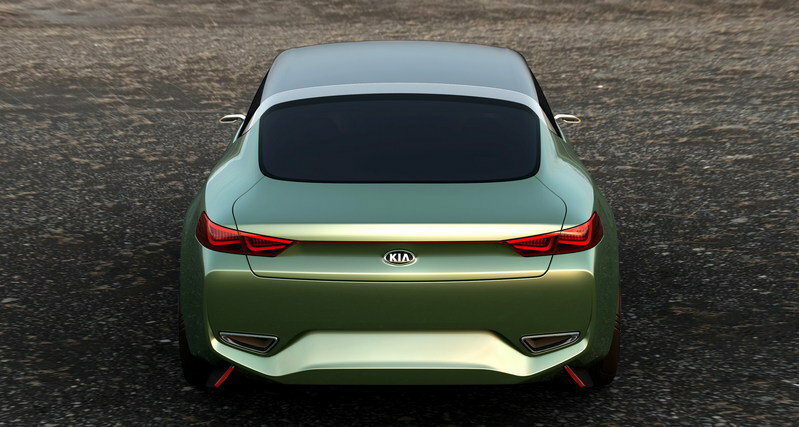 More importantly, Kia also says that this concept gives “clear hints at future Kia styling and strategy” indicating that additional models – beyond a compact car – will be inspired by the Novo Concept. While Kia’s current design language is already one of the best among the entry-level brands, the elements and proportions shown on the Novo Concept shows that cars like the Toyota Corolla and Volkswagen Golf still have a long way to go when it comes to styling. 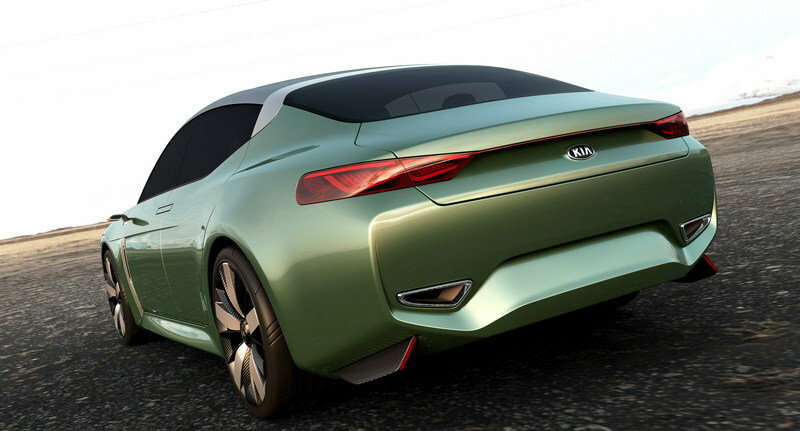 Continue reading to learn more about the Kia Novo Fastback Concept. Take away the rear-hinged doors, 20-inch wheels and the video-based door mirrors, and it’s easier to see the design direction that the 2015 Kia Novo Concept hints at. Up front, the Novo Concept has an upright face with dual-element headlights, the “latest interpretation” of Kia’s signature tiger-nose grille and a very aggressive lower fascia. The key to this design, though, seems to be the “fastback” roofline, which gives the Novo Concept a profile very similar to the Audi A7. As expected, the interior of the 2015 Kia Novo Concept is highly conceptual, with lots of high-quality materials such as leather and aluminum. 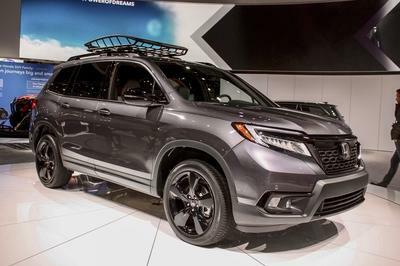 The design of the cabin doesn’t seem all that outlandish for a production vehicle, even though the instrument panel and center console look like they’re from a Lamborghini rather than a Kia. The deep, three-spoke steering wheel and two-pod gauge cluster provide a cockpit-like driver’s compartment, and other stylish elements include a wide center console and vertical HVAC vents. It looks like Kia is also trying to step up its cabin-tech game, as the concept shows off an Audi-like infotainment touchpad and a fingerprint scanner, which Kia says can be customized to control setting for different drivers. 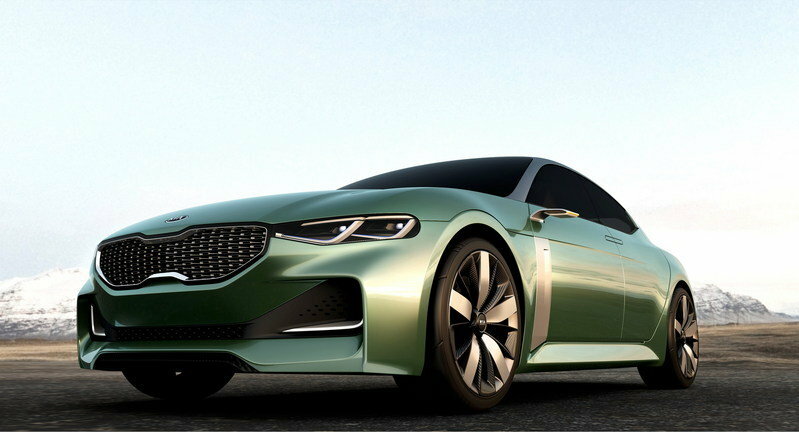 Details about what drives the 2015 Kia Novo Concept are limited, but Kia did announce that the concept is powered by the 1.6-liter turbo gasoline direct injection engine mated to a seven-speed dual clutch transmission (DCT). This powertrain combination sounds similar (if not identical) to the recently announced 2016 Kia Optima 1.6T, which has an engine output of 178 horsepower and 195 pound-feet of torque. 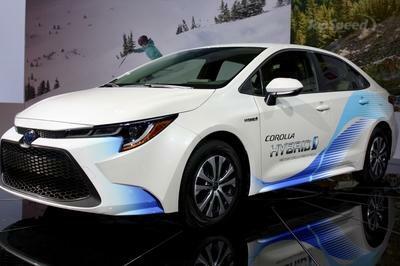 Such numbers would be quite enjoyable from a compact or subcompact offering. If the 2015 Kia Novo Concept does hint at the next-gen Kia Forte, then this car could become the best-looking car priced under $20,000. The current Kia Forte Sedan starts at $15,890, while the two-door Forte Koup is priced at $18,590 and the Forte5 hatchback starts at $19,690. 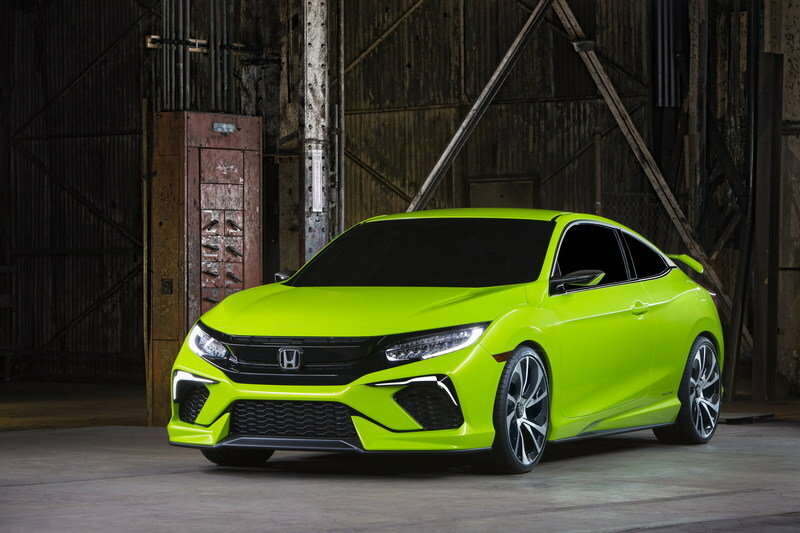 Judging by the concept vehicle unveiled at the New York Auto Show, the 10th-generation Honda Civic is going to be another evolution of the current model, albeit with some much-needed style and attitude. Honda has a habit of using thinly disguised concept vehicles to tease upcoming models, and even though the current Civic was just introduced for 2012 (with heavy updates in 2013 and 2014), the all-new 2016 Civic is expected to debut later this year – possibly at the LA Auto Show. 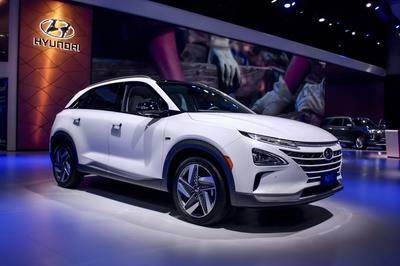 Chevrolet has yet to officially reveal the North American version of the second-generation Cruze, but it should be pretty close to the China-spec model that debuted last year. Like the Novo Concept, the 2016 Chevrolet Cruze will have a fastback rear end with a sloped roofline and short decklid. 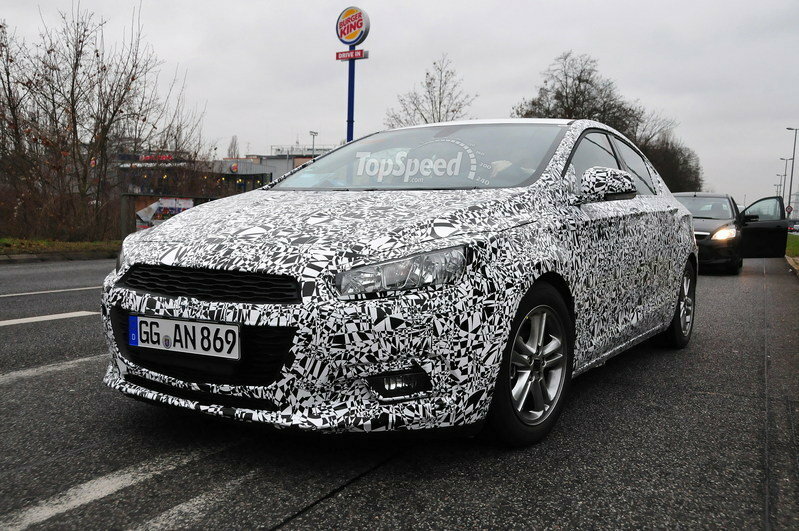 It’s very likely that the next-gen Cruze will end up looking like a miniature version of the 2016 Chevrolet Malibu that was revealed recently at the New York Auto Show. Read more about the 2016 Chevrolet Cruze here. As is the case with most concept vehicles, there’s no telling what the 2015 Kia Novo Concept means for a future Kia vehicle, but if Kia can produce a small car with the styling and powertrain of this concept, that would be a pretty fun car. Beyond a possible upcoming compact car, the Novo Concept is a look at what all future Kia vehicles could look like moving forward. Delivering a bold and exciting, coupe style with a driver-focused cabin, Kia’s latest concept car, the Novo, has been unveiled at the 2015 Seoul Motor Show. Giving clear hints at future Kia styling and strategy the Kia Novo is aimed at modern urbanites with stressful jobs and frantic schedules. Interpreted by Kia’s designers, the name ‘Novo’ represents the concept of making something new and fresh. Taking its name from the Latin ‘novatus’ the Kia Novo concept establishes a calming, focused environment in which drivers can refresh and rejuvenate as they transition from one life commitment to the next. Fittingly, ‘novatus’ also provides the origin of the English word, ‘innovation’, which the Novo concept brings to life with thoroughly innovative styling and high-tech interior features. The Kia Novo takes inspiration from classic, traditional craftsmanship and vehicle design, and reinterprets it using modern materials and cutting-edge production techniques. Designed at Kia’s Namyang design centre in Korea, on a specially-adapted version of Kia’s C-segment global platform, the Novo has a coupé-inspired silhouette. The Novo’s minimal front overhangs, longer rear overhangs and fastback roofline, as well as a slim, long glass area, give it a raked, sporty profile. The smooth, geometric design of the car’s shape is blended with a series of sharp, decisive lines and forms around the body. The front of the Novo sports the latest interpretation of Kia’s hallmark ‘tiger-nose’ grille, now wider and more deeply embedded, and slim, new laser headlamps. Low, wide air intakes house additional laser headlamps, which frame the Novo’s bold face, emphasise its low, wide stance and give the car a unique light signature. The large front wheel arches lead directly into a strong, consistent shoulder line to meet the rear laser lamps, whose shape echoes those of the front for an identical light signature. The rear of the car uses prominent lines and low triangular exhausts to add greater width and volume to its shape and emphasise the car’s sportiness and on-road stability. Crisp lines surrounding the rear of the car ensure a high aerodynamic efficiency. The long, wide dashboard, whose sharp lines are embellished with the use of leather and aluminium highlights, is angled towards the driver. The instrument binnacle shows relevant information through a compact three-dimensional hologram display, while a ‘blind control’ touch pad next to the steering wheel allows drivers to control the car’s many functions without having to take their eyes off the road ahead. The touch pad incorporates a fingerprint scanner, which automatically sets up elements of the car according to the driver’s preferences, such as music selection, audio volume and the type of information displayed. A wide touchscreen in the centre of the dash displays the car’s full range of functionality to occupants. As well as the neat, simple design forms that make up the dashboard and centre console, the interior’s four individual dark brown leather sports seats add to the minimalist ambience of the cabin, each made up of simple linear shapes and featuring built-in inertia reel seatbelts to minimise ‘cabin clutter’. The Novo is powered by the latest high-tech production Kia powertrain to match its dynamic looks. 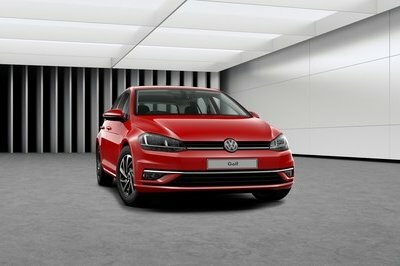 A 1.6-litre ‘Kappa’ turbo gasoline direct injection (T-GDI) engine has been paired with the brand’s seven-speed DCT to power the front wheels. The result is decisive, sporty performance and impressive fuel economy for Kia’s latest star. The Kia Novo concept is fitted with innovative new ‘adaptive concave profile’ tyres, with a sunken middle section between two contact points serving to cool the rubber and channel excess road water away from the wheels for greater grip. The unique 20-inch tyres feature two slim contact points on the outer edges to provide lower rolling resistance and reduce road noise, while providing a high level of grip. Although there are currently no plans to bring the Kia Novo concept to production, Kia has a history of delivering production vehicles that bear a strong resemblance to concept vehicles that precede them. 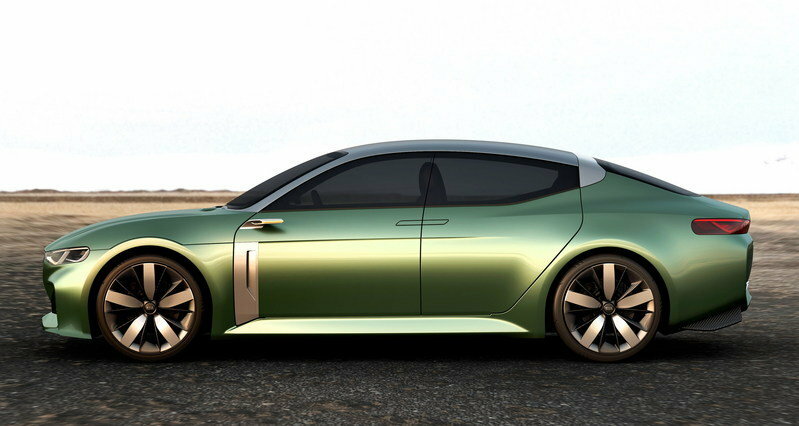 The Kia Novo concept provides a glimpse into Kia’s plans for its future compact car line-up.